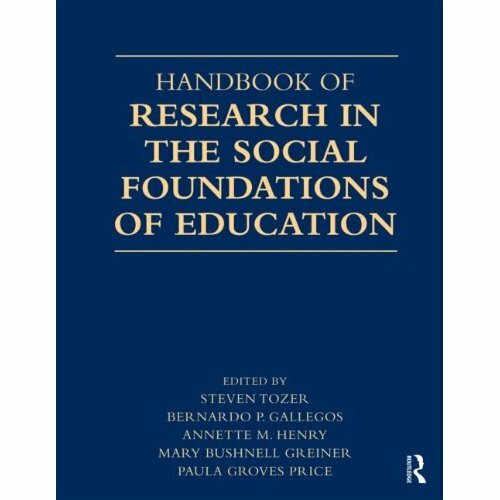 The new Handbook of Research in the Social Foundations of Education is now in print. A portion of the royalties from this publication will be transferred to the Council to support its work on behalf of social foundations. We would like to thank Steve Tozer for taking the lead on this on behalf of CSFE. All of the editors and the contributors who made this volume possible are to be congratulated for their work on this important project. This entry was posted in Announcements, New Publications, Publications, Resources for Social Foundations Scholars and tagged publications, social foundations of education by EdProf. Bookmark the permalink.